Tracy Garcia, the economic development manager for Polk County Tourism and Sports Marketing, just completed the inaugural course in Advanced Economic Development Leadership, making her one of the first Economic Development Master Practitioners (EcDMP) in the world. With a curriculum designed jointly by four universities – The University of Alabama, Clemson University, Texas Christian University and the University of Southern Mississippi – the key subjects included leadership, site selection strategies, project management and business development. Two week-long sessions – one in Fort Worth, Texas, the other in Ridgedale, Missouri – were held. Mixing hands-on learning and contemporary economic development issues while insisting on collaborative and interactive learning from their students, the program aims to make participants better prepared for the challenges in this ever changing industry. It also gives Garcia a potential sounding board for any challenges that lay ahead. Garcia was one of more than 40 mid- and senior-level economic development professionals who applied for the course. As the Economic Development Manager for Polk County Tourism and Sports Marketing, Garcia, who is a nationally credentialed Certified Economic Developer by the International Economic Development Council, worked on the USA Water Sky Hall of Fame and Museum’s location to Lake Myrtle, as well as the addition of the new Wakeboard Cable Park and has helped on various initiatives to recruit new hotels to Polk County. 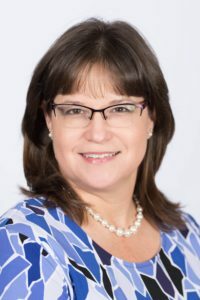 She has also served as a city commissioner, vice mayor and mayor for the City of Lake Alfred and now serves on the planning commission for the City of Auburndale.